It’s this deep urge that separates us from other living creatures. From this, we are motivated to develop tools that allow us to survive so efficiently that we are granted the luxury of spending less time struggling to find food and shelter, and more time doing what we want. There is so much more to discover in science… so much about our universe that we still don’t fully understand. Thanks to so many recent technological developments, especially the Internet that connects us all, the opportunity to do real science is not far from anyone who has the personal interest and drive to grab on and go. Professional scientists are a critical component to the continuing advancement of our civilization, but amateurs are needed to not only help with the process of our collective growth in understanding… but also to grow personally with both a deeper understanding of the truth and an educated appreciation of the science that churns our world. Join Dynamic Patterns Research and the greater community of amateur scientists… a community that was once actually more critical and populous than professional scientists!… with real opportunities to do real science. Here, we present to you these opportunities and other resources for doing real amateur science to give you the chance to contribute to the knowledge of our amazing universe… if not for the direct benefit of all civilization, but for the benefit of yourself. With one of the oldest citizen science projects, the Audubon Society will guide tens of thousands of volunteers throughout the Americas take part in an adventure that has become a family tradition among generations. Families and students, birders and scientists, armed with binoculars, bird guides and checklists go out on an annual mission – often before dawn. For over one hundred years, the desire to both make a difference and to experience the beauty of nature has driven dedicated people to leave the comfort of a warm house during the Holiday season. The best place online to discover recreational and research projects to contribute to and participate in as a citizen scientists. Help map the connectome for the retina. This is such an exciting citizen science opportunity to participate in the coming scientific revolution that will allow us to better understand who we are. Where did all of the fireflies go? Join the nation-wide citizen science team and the Museum of Science in Boston to help map out and study firefly behavior and habitat populations. This is a great project for families to do at home, and it only takes about 10 minutes per week in the evenings! Join thousands of students, families, and citizen scientists counting stars this Fall. An international event that encourages everyone to go outside, look skywards after dark, count the stars they see in certain constellations, and report what they see online. Download your Activity Log and get ready to participate in an exciting world-wide citizen science event. This event is supported by the University Corporation for Atmospheric Research. The GalaxyZoo harnesses the power of the internet – and your brain – to classify a million galaxies. By taking part, you’ll not only be contributing to scientific research, but you’ll view parts of the Universe that literally no-one has ever seen before and get a sense of the glorious diversity of galaxies that pepper the sky. The National Aeronautics and Space Administration is certainly comprised of some of the best scientist in our culture, but they also certainly respect the growing critical role of amateur scientisits. 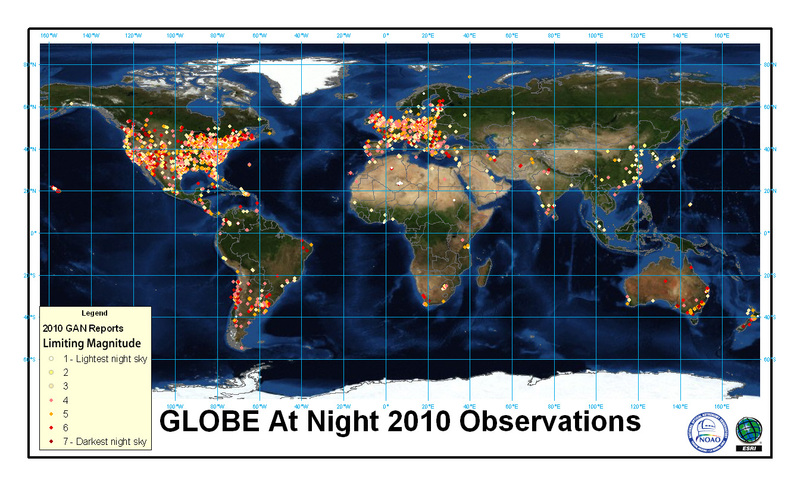 NASA provides resources for amateur astronomers … and anyone interested in looking up at night … to discover our universe and contribute your own observations, which will guide future developments by NASA scientists. Help scientists at UC Berkeley discover–for the very fist time–tiny particles of interstellar dust collected by the Stardust spacecraft. Use a special Virtual Microscope to search through nearly a million movies to hunt for an estimated 45 micron-sized intersellar dust particles. If you discover a particle, you will be listed as a co-author on all scientific papers published by the collaboration! Monitor the plants in your backyard and help track the effects of climate chain in your region. Join in with this national field campaign lead by the University Corporation for Atmospheric Research, and report your observations of life cycle events from your own garden. Data is collected and analyized to better understand how plants behaviors are changing with respect to possible changes in regional climates. CreekWatch :: an iPhone application developed by IBM Research that enables you to help monitor the health of your local watershed. Whenever you pass by a waterway, spend a few seconds using the Creek Watch application to snap a picture and report how much water and trash you see. Be a Martian! with NASA :: Virtually explore the Martian landscape, and help identify geological features for NASA research. A citizen-science project from the Cornell Lab of Ornithology, is looking for more individuals and teachers to participate. Guide for backyard bird watching and identification. Please CONTACT US about new opportunities for amateur science to be featured on Dynamic Patterns Research.